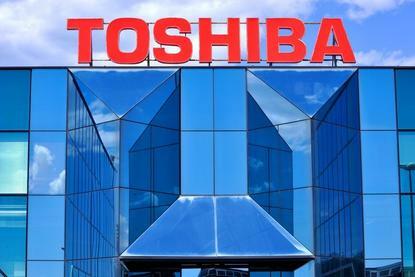 US private equity firm, Bain Capital, has said it aims to list Toshiba Corp's chip unit on the Tokyo Stock Exchange within three years, to cash in its investment after leading an US$18 billion acquisition of the business. Bain, whose consortium signed the purchase deal last week, also said it hopes to settle legal disputes over the transaction at an early stage with Western Digital Corp, Toshiba's joint venture partner. Toshiba aims to complete the sale by the end of its fiscal year in March. It plans to use the proceeds to plug a hole in its balance sheet caused by the bankruptcy of its US nuclear power subsidiary, and save itself from potential delisting. Several other sources told Reuters that the strategic nature of the chip industry for China and political complications - including currently tense relations with South Korea, and the presence of South Korea's SK Hynix Inc in the consortium - could see a lengthy process drawn out even further. In the first news conference since the signing, Yuji Sugimoto, head of Bain Capital in Japan, told reporters on Thursday that Bain hopes to maintain stability at the chip unit through contracts with Apple, a major client and member of the buyout consortium. "We have already made (antitrust) filings for regulatory approvals globally. We are making utmost efforts to close the deal by the end of March," Sugimoto told reporters. Western Digital paid some US$16 billion last year to acquire SanDisk, Toshiba's chip joint venture partner since 2000. It sees chips as a pillar of growth and so is keen to keep the business out of the hands of rival chipmakers. "Western Digital remains an important JV partner," Sugimoto said. Bain "will help solve the legal disputes (between Toshiba and Western Digital) and help them grow together." For Bain, the deal is part of an aggressive expansion strategy in Japan. Only days after the Toshiba deal, Bain announced a US$1.4 billion bid for Japan's third-largest advertising agency, Asatsu-DK, in one of the largest buy-outs in the country this year.